The travel agent industry has been quite varied, and has changed considerably over the years. It’s very interesting to see how travel agencies have evolved over the years - with the very first modern travel agency appearing in the 19th century. This may seem to be a long time ago, but it actually isn’t. Most people forget the travel agent industry is still relatively new and modern, despite starting back in the 1900’s. The industry keeps moving forward and has never looked back, while evolving, expanding and showcasing more than many other industries. 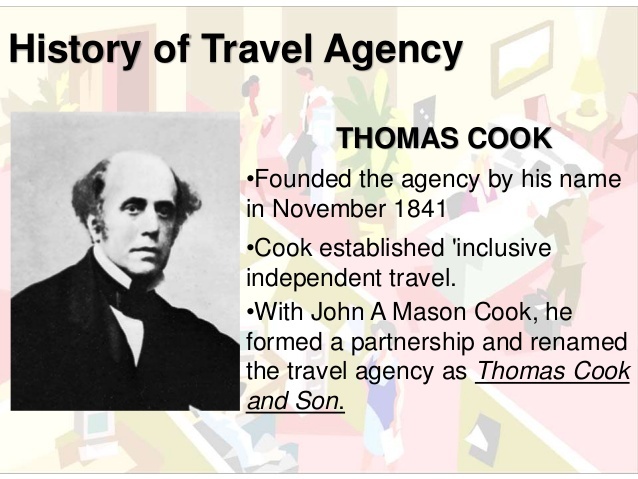 There may be a string of agencies called Thomas Cook but it’s because the man, Cook, was the first to create a travel agency. This was a huge development and milestone for travel and Cook, who was also the first man to establish a package tour holiday. From the 19th century, Thomas Cook agencies have been popular and more and more agencies have been popping up all across the globe. Not only was Thomas Cook one of the biggest travel agencies in the world, they were also the first British one too. However, he did offer affordable packages from a variety of holidays, from local British holidays through to more modern continental holidays. It was more so during the 1920’s when the travel agent industry become vastly popular. The reason why, was simply because aviation become available to the public and that really helped boost travelling. Of course, for the most part in the beginning, travel agents were largely used by middle and upper class consumers who did have a lot of money to spend on vacations. Most of the lower class families couldn’t afford to travel through a travel agent. When the outbreak of World War Two began, it ensured the industry would take a big hit. Of course, during this time, most people weren’t thinking about taking a holiday, even locally and as a result, and as anticipated, the industry took a big dive. However, after the war tourism did see a huge upturn as more and more people just needed to escape from the post war blues. It did lead to more affordable prices and the start of package holidays becoming popular especially when more travel agencies were starting to grow and become noticed. Once this happened, most travel agents were catering for working class families, on the lookout for cheap but good quality holidays. Most of the British consumers were searching for sunny beaches and hot destinations and this become a vastly popular and profitable industry in the UK. The Canadian industry started off very small with only one or two minor agents offering holiday packages. However, it quickly grew especially towards the turn of the century. After war time, the industry grew more so than ever before both at home and internationally. And the Canadian government saw a huge increase in the amount of foreign visitors looking for a great getaway. The industry has been growing steadily, and just recently it has experienced a massive explosion of growth, while the numbers continue to increase year over year. Of course, with the CITC, the Canadian Institute of Travel Counsellors being set up, it has allowed more independent travel agents to form. It was back in 1963 when the CITC group was born and ultimately helped travel agent professionals get trained and jump into the travel industry. Thousands of recruiters looked to CITC to help them get a foot into the industry as well as establish themselves as agents. However, the Canadian travel agent industry has a very strict rule for anyone looking to get into the industry. Anyone looking to become an agent must be educated by going through a training program before becoming certified. Remember, the industry is constantly changing and agents must be competent which is why CITC has played a huge role in the industry. There are over three thousand members of CITC and everyone who is registered with them is a certified travel agent professional. In fact, CITC is an industry first, and not just within Canada but globally. Overall, the travel agent industry has come a long way since the 19th century. It had its ups, downs, and challenges like every other industry. And while it has stood the test of time and continues to grow, it has equally become one of the most competitive industries the market has known. But as businesses grow, so does the need for travel, and as an over-worked population of stressed individuals grows, so does the need to vacation. This endless cycle alone should help the travel industry stay a marketable one.